How to simplify something as complex as evolution to fit in an inch!? Looking forward to next week's easy and straightforward prompt! 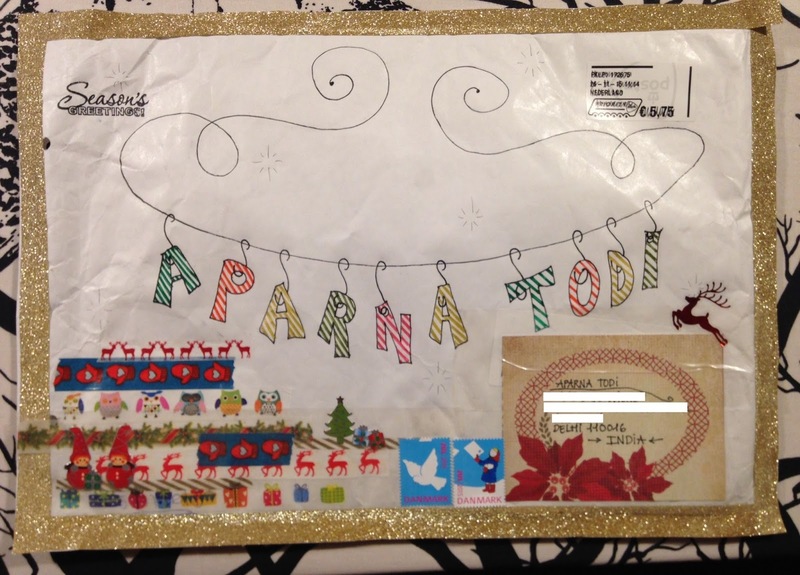 This PL went to my pocket letter pal in India, Aparna. I have used journaling cards for some of the pockets. The gold striped is a little envelope I have received in a swap. The Christmas bulb and cornet were both goodies in an incoming PL. When I receive an envelope that has next to nothing on it I reuse it. On this one I could cover the address label with another label, or in this case, a journaling card. And the old stamp label I covered with this year's Christmas stamps. Sch a clever idea for the inchie. 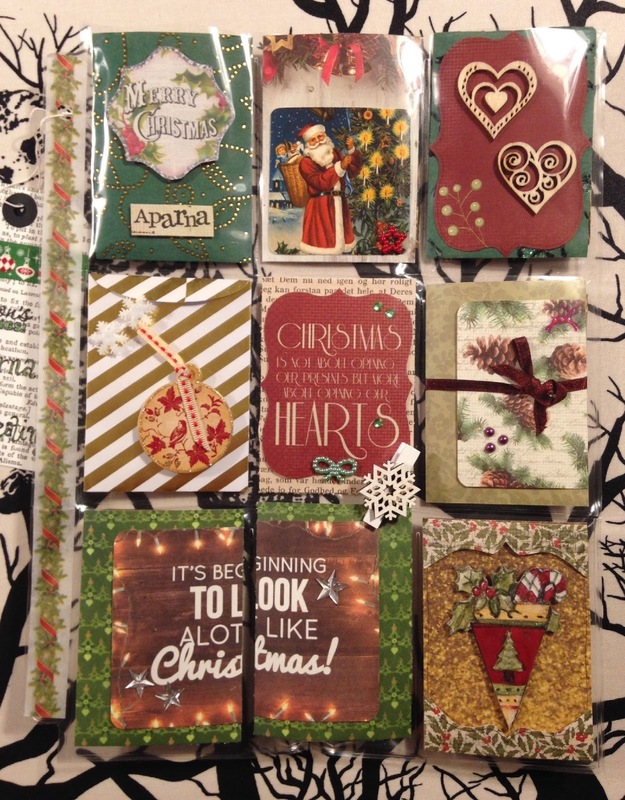 I really love your Christmas themed pocket letter. 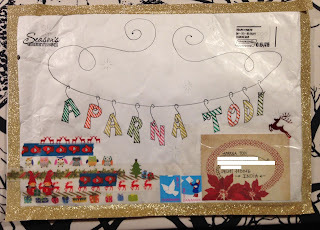 What a good idea you have for using up old envelopes! Fabulous idea for your inchie. Love the other art work as well. Have a great Christmas.